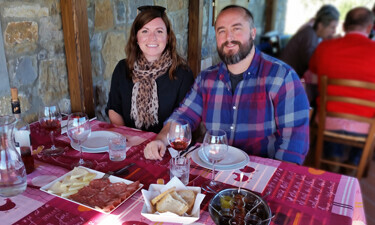 • Tuscan light lunch & paired wine tasting. • Scenic drive of Tuscany with stops for photos. • Recent model private minivan with AC. 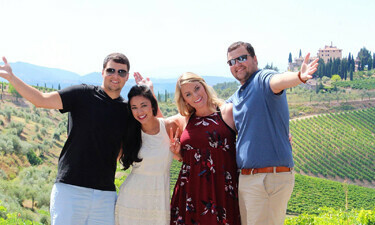 The idea behind my Tuscany wine class tour isn’t to make false promises like “become a sommelier in a day”. That frankly takes years. 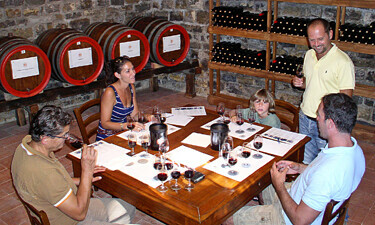 What I am saying is “you will certainly be more discerning drinker, and learn how to keep training your palate in the future.” We’ll spend the morning in the company of the winery’s resident wine maker who will guide you through the fundamentals of appearance, smell, and taste, and the correct way approach wine tasting from the glass. The most delicious time will be during lunch when you’ll also receive explanations and practice on the pairing of food. In other words we eat and drink! 09.15. We set out directly from your accommodation for the Chianti wine region (Tuscany) and we arrive at the winery after about an hour. 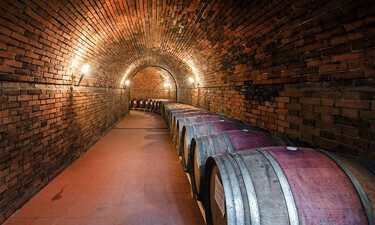 Our Tuscany wine class begins with a guided tour of the estate’s underground cellars dating back to the 1800’s, after which we take our places in the tasting room. Here we meet the wine maker and we’ll be supplied with a tutorial text on wine tasting which is yours to keep, and of course the wine to begin our lesson. Some of the aspects we’ll be addressing are: color, flaws, aroma, bouquet, and the correct balance of acidity, astringency and sweetness. Of course no Tuscany wine class would be complete without a word on the correct way to go about using the glass. So ample time will be given to the techniques of swirling, smelling and tasting. To complete the course, we’ll put our new found knowledge to a few blind tastings. You’ll be surprised just how much better you can pick things out, now you know what to look for. Around one o’ clock we’re probably getting hungry, so we’ll enjoy a light lunch while continuing our lesson. In fact it’s now time to learn a thing or two about pairing wine with food. We’ll have various types of cheeses, cold cuts and bruschetta to delight our palettes. 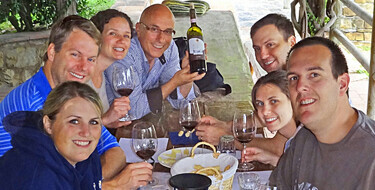 The importance of combining a wine with the flavor and texture of food will be explained. Even better…not only will it be explained…you can drink too! 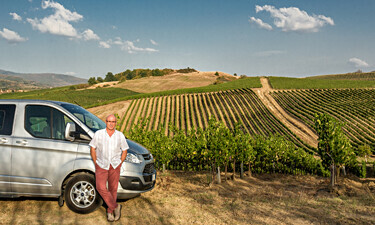 We leave the winery around three, and proceed with a scenic safari of the Tuscany landscapes. The drive will be leisurely and well make a number of stops for your holiday photos along the way. We arrive back at your accommodation at five.